If you missed it, please read A Sister Part 1 before you read here so you know (what in the world) I’m talking about…. As I sat there shocked, my mom burst into tears and got rather standoff-ish. Guess she had a right to be. Come to find out, everyone had known before me, I had just discovered (and would continue to find out family secrets in the coming years, some of which I talk about in this blog) that more things were hidden from me which I had every right to know just like everyone else. I was really excited though and actually I took it the best I think. I wanted to meet her right now. I guess my sister Angela found out from my grandpa but I don’t know about the others. Either way, I felt betrayed that no one cared to tell me or thought I was important enough to know. How would that make you feel? Pretty awful right? I suppose I got over it right away, being sent off to camp was even more exciting. I would start my to write the sister I never knew I had, even though I always had a sneaking suspicion. Off to camp I went, riding horses at Camp Tamarack and if you’re in the NW area, you should know what an amazing place it is. I went for several years and here I am getting way off track……. One day I wrote my *new sister, ya know the one I had no idea about until about a week earlier. I do not remember my letter to her, but I guess I wrote something about finding out about her and wanting to know every single detail of her life that instant. I asked for pictures and details of my new niece. I think that first letter must have been like 5 pages. I asked about her adoptive family and how they were to her etc. I had never felt like this before and it was so important to me that this was my chance to uncover who she was. The days that passed in between felt like a year, I’m lucky I was at camp or I’m sure I would’ve just gone crazy. In her letter back here’s a sample of what was said.…. “Thank you very much for the pictures. I’m putting them all together. Except for the one of all of you. I have to show that one off Hopefully one day soon, we can all take one together. That would be really neat. Oh and my mom’s name is ______. Nora, you’re such a sweet girl! I am so proud to call you my baby sister. If you ever want to ask me anything about me or whatever, ask! I’d love to answer anything for you. And I’d love to keep writing you. How could I get so lucky?! Such a sweet sister, someone I barely knew. I suppose I might’ve visited before I went to camp, I can’t really remember. I went there a few times before my dad passed in 2002 and I never knew what a crucial part of my life she’d eventually be. 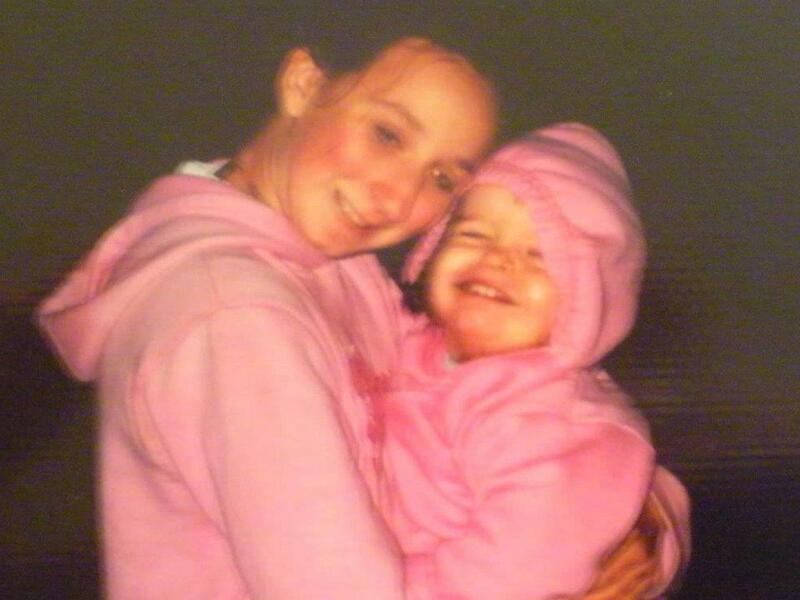 It’s kinda hard looking back too knowing things happened the way they did- but I am so thankful to have her everyday! When my dad passed away I spent a year or so bouncing around and finally ended up in Vancouver with my incredible new sister. I specifically remember reeling over the same questions of trauma and loss. I cried and cried. Feeling safe and vulnerable was important to me then, she made me feel that way better than most of my family could. I don’t know how she does it but I always feel so deeply heard and understood. To make a long story short. I ended up living with her and her family for the rest of my high school education to have a stable home, family, and school. I was able to get assistance to get counseling as well and have medical/dental/vision care. It was about time, they generously decided to expand their house and make an extra room for me. I loved living there and unfortunetly I went through my tough teenage years and sorta put her through hell. Oops! (didn’t mean to Kim) Well I also wanted to feature another letter from the following year after I moved in and went back to camp. The first letter anniversary. I loved it! And once I left for camp I recieved another letter covering the recent events at home and talking us through our own new “family” struggles. This may end up being short because its late here. But I wanted to write something so it reached you before you leave camp. Things are good here. J’s oarty was pretty good. Mom actualy came with Angela and Matt, which was nice. J got lots of new toys that you and I will enjoy, TONS of Polly Pockets! Micheal will be here Friday. I’m getting really nervous. Yes, J’s scab is healing. Almost gone. She shows me everyday. I’m glad you are having fun! But I’m hoping things got better since you called me. I do understand your worrying. But remember- it won’t happen. You need somewhere to be where you won’t feel that way- And guess what? You’re here! We love you very much! I have noticed that you have offered to help. And I do appreciate that. Maybe I’ll put you to work when you get back. he he. Bad news- Whiskers (cat) will probably be gone when you get back. He totally peed all over your bed again. Good news is all the blankets and frame don’t smell-And we had to buy you a new mattress. I’m sad he has to go- but we can’t all live that way. It wasn’t our shining hour but I remember so so so many times when I was struggling that year when I really had no one else close enough to talk openly to, she was there and made me feel better every single time. I don’t know how but she always talked me out of being sad. Sweetly. Sisterly. Calmly. Lovingly. I couldn’t express how immensely important that was to me. To give me a home and a place to stay with a toddler let alone and not knowing me very well either. It was incredible for her to do. I went to a good school, had pretty good friends for the most part, extracurricular sports and clubs, good teachers and tried so hard to pull good/acceptable grades- I was NEVER a good student. I was by no means out of control but I wasn’t easy on her either. It wasn’t the best situation, I was being a really tough teenager and I commend her for handling it as well as she did. Anyhow, I hate to cut this short but I don’t think I need any more details than that- for the sake of being discreet. But I hope you enjoyed it. I hope you comment and continue to ask or at least maybe relate to it, understand where I’m coming from. It’s a special bond I think between siblings but when you meet someone who’s belonged in it for so long- that’s different. I am so blessed and glad to have her found all of us. That’s her story….. and I’m glad she did! Please repin and share on social if you liked it! Thanks! What did you think about this crazy timeline of events? What would you have done or have felt? Today, I decided to share something close to my heart. Like blood close. Something that nearly 100 million families in the United States have in their family. Grandparents, parents, children, siblings and the whole entire family can be affected by. It’s a huge deal no matter what side of the equation you’re on. When we talk about siblings, does blood relation really matter? When you have grown up together, taken vacations, made memories, shared literally everything down to shoes and clothes, had every meal together and teased each other through the years? I was never taught that being full blood siblings mattered, (maybe that’s because all my siblings had different fathers except the oldest two) I was also taught that you never call them -half anything. In our house that was not okay. And I would get scolded if I ever called my sisters, half sisters and my brother, a half brother. So that was NOT happening and plus I never felt we were all that different growing up in the same household so I never felt like I should anyway. I always felt there was something missing, someone else out there. I had this feeling since I was about 10 years old and I never really shook it. I didn’t dare speak about it and I really just thought it was my imagination or I was crazy because my parents would never keep a secret so huge. We were a family and who wouldn’t share something so big and important. I thought on about it and it just stayed with me. Although I didn’t know when I was about ten years old that a lot of people hold onto private things and secrets in families that you may never expect otherwise. Little did I know in a few years the cat would be out of the bag…. A summer afternoon in the hot, sticky middle of July (I think it was 2002), I was at my grandparents house where my mother was staying and on the side battling her demons. I knew that house like the back of my hand. Since my grandmother passed several years earlier I had spent lots of time visiting and spending nights with my grandfather there. Easy to say I knew every nook and cranny of that old traditional yellow house. But this day I noticed something new; I admired photos of an Italian woman and her husband holding their pretty young daughter. Or so I thought. These pictures popped up overnight it seemed. They were everywhere, cards, holiday pictures, baby photos of the little girl and a few pictures of the couple. I looked and stared but knowing how many close friends my grandparents had, I just thought nothing of it. The more time passed the more that “feeling” came back and now it was bugging me. I knew there was more to this story and eerily famailar couple. Before I knew it, questions by the billions came flying out of my mouth. Does she have kids, do I have other nieces and nephews? Where does she live? Etc. So many questions ran through my head, as anyone would in that sort of situation. I was utterly in shock at how this had never come up or been revealed to me sooner. I was so heartbroken and very happy at the same time. As the tears washed over my face, I was gripping for answers. Please comment and tell me- Did you ever have a family secret or anything to this nature? How did you respond and what was it like? So a while back I wrote about my Daily Morning Routine and when I got so much feedback and positivity on it I thought I’d write the Daily Night Routine. These are common posts for bloggers to write and people to be into reading but I have to be honest, I’m just starting mine. I haven’t had a set routine in quite a few years because I’ve been basically a stay at home wife. But I feel like I need more structure for my whole day and night to be more productive and time managed well. First of all when I’m winding down for my night I try to get comfortable. it’s a very important thing. Usually I’ll shower first or on a self care night I’ll indulge in a bath to soak in and deeply relax. Showers and baths at night is easier for me because I find the heat so relaxing. I am a person who likes to be cozy all the time and that means pajamas earlier than most. After Sean comes home, I feed the dogs and we will eat at the same time. And then after they scarf down their food, they will go outside to go potty. They’ll go a few more times through the night before we head off to bed as well. Most nights you’ll find me either watching tv (whatever I’m binging at the moment on netflix or hulu) or blogging away. I often cuddle with dogs while I text a bunch of friends to see how their day went. I made a new habit of reading at 11:00 or 11:30 pm before I go to sleep at midnight. It seems late but that’s the earliest my body will let me sleep. I’m a natural night owl and it’s been really hard to fight it. Next up is a trip to the bathroom, wash my hands and brush my teeth. I’ve been trying to get better about some decent skincare habits so I wash my face with a cleanser and maybe do a mask or some spot treating also before my head hits that pillow. I love to be on my phone in bed which I know is like the worst thing you can do (see: blue light, etc etc). I tend to scroll pinterest and do my best spree repinning and pinning my own content late at night, which to be honest probably isn’t good for my algorithms-oops! I tend to fall asleep easily compared to my husband who has terrible insomnia and must sleep with a fan. We both snore so that drives us both batty! And also two weiner dogs who hog the bed really badly but they don’t know any better so having them in their own dog bed isn’t an option either. Well I see this was probably a bit confusing and mixed up but it’s kinda the best I can do for now since I’m starting over with a new plan now. Our new routine includes an early to rise game plan with a workout afterwards and I’m going to work on putting my phone down more often too. Tell me what you have in your morning or night routine that HAS TO HAPPEN.. 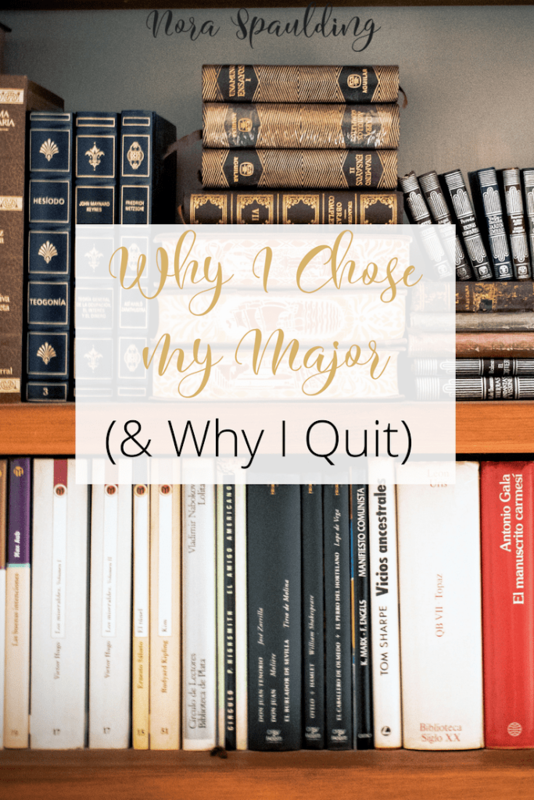 This blog space here is relatively new and if you don’t personally know me you won’t know that despite all my hardships in my young life that I attended both a community college and a University. I honestly haven’t written a whole lot about my college days in a very long time and mostly it was only ‘I’m doing this paper’ or ‘working on that project’. I enjoyed school growing up very much. I loved most of my teachers through the years however school became difficult for me. But as I grew up I started to get the hang of it and worked smarter not harder. I put more effort in and aside from having a pretty hard senior year I slipped through- not my highest GPA but also not my lowest. I graduated and moved out on my own. Portland State accepted me and I chose to go to start my Bachelor of Science in Psychology degree. There’s a lot of reasons why I picked a psychology degree. My first reason being that I grew up as a child of divorce and I was moved around like a rag doll between parents for years. It was a scary time and I didn’t understand what was going on. I didn’t have a lot of people to talk to and was then taught to keep secrets and not to tell anyone what was going on. Later on down the line after moving a bunch and doubling back to high school I took beginner to psychology class. I loved the content and teachers I had. I loved how the lessons in the class related directly to my life. The idols and great fathers of psychology in every tier was so fascinating to me. It was one of the only classes I liked and enjoyed, asked questions and readily was interested in. I remember wishing at the end of the semester that there was just more lessons. My teachers as a junior in high school then urged me to look into thinking about doing psychology as a major. A big reason why I initially wanted to study psychology had a lot to do with what I went through as a young teen. I lost my father at a young age to suicide-it was sudden and tragic. Anyway, I felt like I had a lot of people trying to support me and counsel me but they did a bad job. Years later and I don’t think I’ll ever recover from it. It’s something that just lives with you no matter what you do to cope daily. I know I am not the totality of what happened but of course it affected my life in a huge way. I also acknowledge that I am not the only one this has happened to and I know there are better parts of life coming. I think it’s especially important to take your pre-requisites very seriously. I was great doing my undergrad studies and then when it came time to have my nose to the grindstone, I was already like, worn out. School is tedious and monotonous. I am no longer a believer in “college is the only way” because now we have mediums like YouTube and companies who hire and train on site. Although positions like in an office secretary type setting used to be entry level is now not enough experience for an post grad. Changes in times surrounding school are one of two ideas; you MUST go to school and now these days go for longer/word harder OR you have to create your own skillset, sell or be unique enough that you can somehow make a living and live unhappily in middle to low class forever. When I met my husband- things changed. Priorities just shifted. Although it really had nothing to do with him I wasn’t invested anymore. I hit my wall after 5 years of school and still puttering along without any real progress or final stand, I was done. I was struggling through every class and trying desperately to get help in my math arena. I got tutoring and after school help and office hours but nothing was working out… I felt defeated and that at the end of it all was the straw that broke the camel’s back. I had 7 more math classes to finish when I called it quits. I was so close and yet so far and at that point I don’t think anyone could blame me. My heart wasn’t in it anymore and I just couldn’t reinvest either. Now my financial situation has changed and I cannot afford to go back to school. So I’m going to encourage you to continue to strive, if you’ve hit your wall keep pushing because in the end it’s so important. I’m thankful that I learned as much as I did in the amazing courses with the people and educators that I did but I wish I could’ve finished. Did you choose to go to community college or a university? Did you go straight to work from high school? What has been your experiences and what lead you to that path? I’d really love to hear why and how you’d do it different (if you could or want to)? So #truth I snagged this post from the lovely Megan from Bloom. I really loved this idea so I thought I’d do the same and share with everyone. Let’s see how this goes…I dare you to do this post and share with me-let’s compare answers. I weigh less than 100lbs. I think I weigh myself and every time the number never moves (and I want to gain weight) it always says 91. I am a tiny sized human and my mom has a very small frame too. I’ve dyed my hair or gotten it done since I was 18- almost every year at least 2-3x a year. Also my hair grows so fast that I can chop it off and it’s back before wintertime. I have fallen off a horse- and I thought I was paralyzed.. I was so afraid I didn’t move my back and was carried up the hill from the corral on a stretch backboard. I was terrified and I think I scared other kids too.. I get jealous- like everyone else. I often find myself wishing I had a bigger home, a better car, a job that I love, more friends, better hair or healthier being. I’m working on being happy with what I have. Because that’s just as good! I used to be so crafty and creative in school and now I’m not so much- I’d really like to express myself that way again. I eat way too much fast food and drink too much soda. Working on creating healthier habits. I’m 29 years young and look like I’m a 10 year old- blessed I guess?! I get really mad when I’m yanked around (physically and emotionally). I don’t trust easily anymore- I used to trust way too easily and now I barely trust anyone. Sometimes I get mad, like really mad and say things I don’t mean. I often don’t have a filter or don’t use my brain when I speak and say the completely wrong thing. 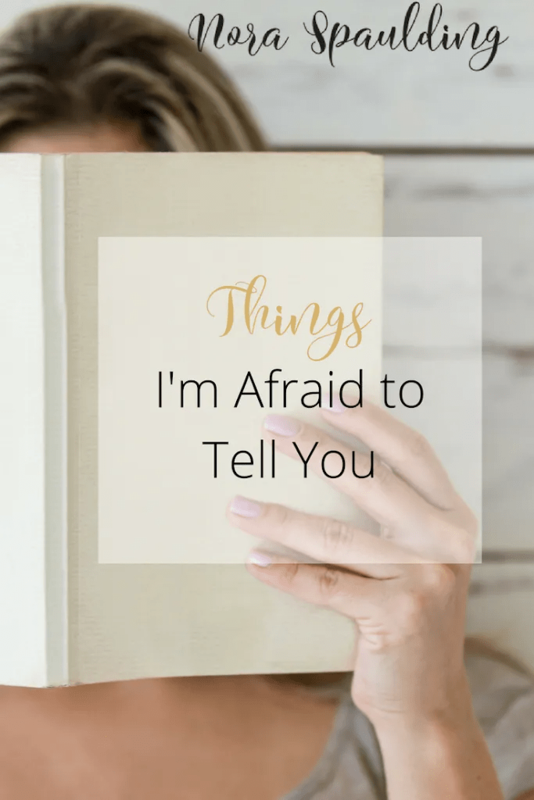 I have done many things I’m not proud of (I know we all have) but I’m actually still ashamed of these things and don’t speak about them anymore-time to move on right? I have secrets, my family had secrets and I know everyone has something to hide now, I learned to take it with a grain of salt. Sometimes I unfairly judge people (again everyone does sometimes) but I’m trying to learn not to. I can’t cook worth beans- I am a box cook QUEEN. (this has 100% changed since I originally wrote this; I’m getting quite good at cooking now). Although now I’m learning as we try KETO this year! I am so jump-into-things mentality that it often gets me into trouble. I’m 100% shy around new people but also EXTREMELY outspoken around close friends-which one are you gonna be? 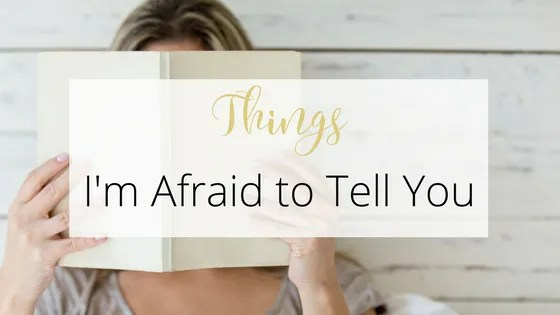 What are you afraid to tell me? What secrets have you NOT divulged yet?